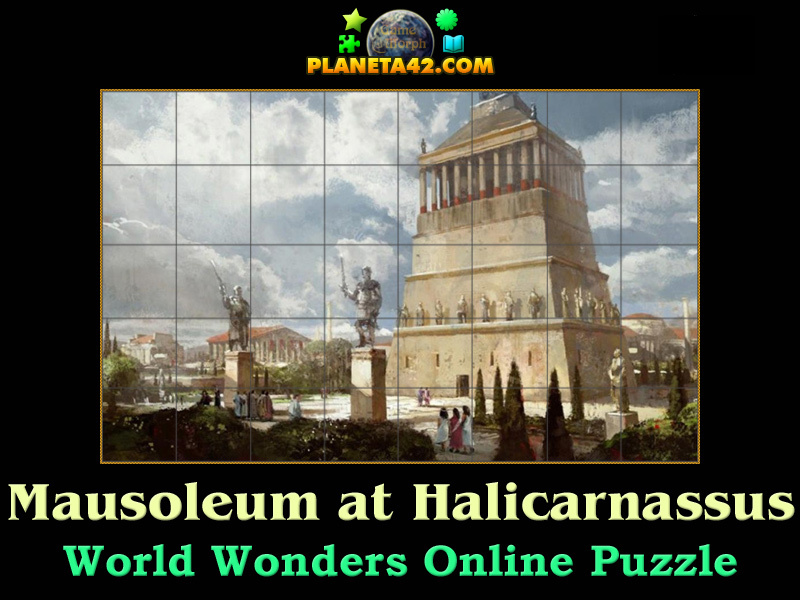 Mausoleum at Halicarnassus world wonder in a fun online history puzzle. 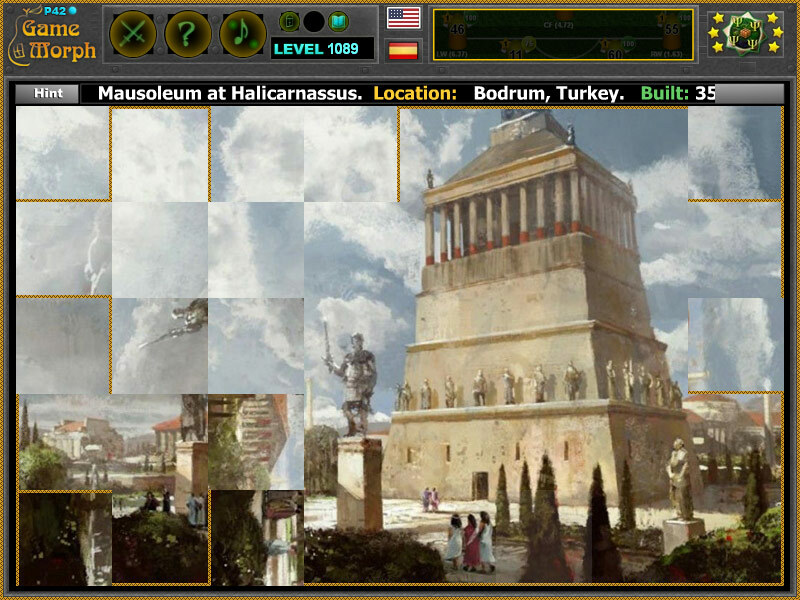 "Mausoleum at Halicarnassus Puzzle" is a fun square rotating puzzle to sort 40 squares puzzle of the Mausoleum at Halicarnassus wonder of the world. Fun online history puzzles for desktop computers, laptops and tablets, which may be played in the web browser. Wonders of the world game. How to play Mausoleum at Halicarnassus Puzzle. This is a common square rotating puzzle. Click on the puzzle pieces to rotate them, while they fit the original picture of the Mausoleum at Halicarnassus. Use the "hint" button to see which pieces left. Class subject: The Mausoleum at Halicarnassus. From Wikipedia: The Mausoleum at Halicarnassus or Tomb of Mausolus was a tomb built between 353 and 350 BC at Halicarnassus (present Bodrum, Turkey) for Mausolus, a satrap in the Persian Empire, and his sister-wife Artemisia II of Caria. The structure was designed by the Greek architects Satyros and Pythius of Priene. The Mausoleum was approximately 45 m (148 ft) in height, and the four sides were adorned with sculptural reliefs, each created by one of four Greek sculptors—Leochares, Bryaxis, Scopas of Paros and Timotheus. The finished structure of the mausoleum was considered to be such an aesthetic triumph that Antipater of Sidon identified it as one of his Seven Wonders of the Ancient World. It was destroyed by successive earthquakes from the 12th to the 15th century, the last surviving of the six destroyed wonders.